A poetry festival, a trivia night, a film festival and art exhibitions—all in Rangoon this week, as picked by The Irrawaddy. The inaugural Monsoon Poetry Festival features readings and performances by 26 poets and performance artists from all over Burma plus a number of poetry chapbooks. Maung Sangkha, a poet who was imprisoned for defamation against the former president, organized the festival. 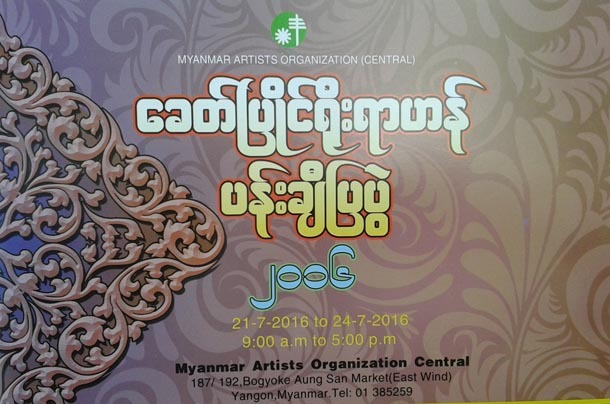 The admission fee is 3,000 kyats. The 9th job fair organized the weekly job advertising medium Opportunity Journal will be held at Tatmadaw Hall in conjunction with talks from scholars and HR consultants about entrepreneurship and management. 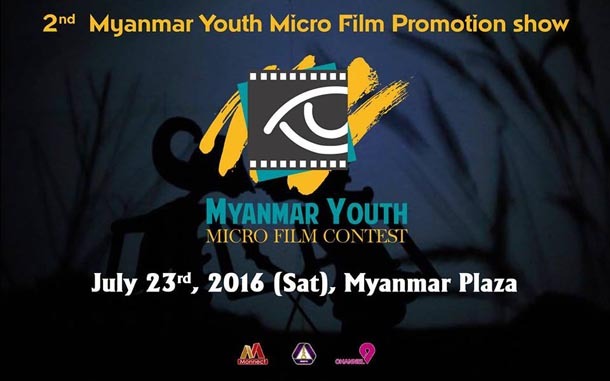 The second annual Myanmar Youth Micro Film Contest will be held at Myanmar Plaza. Shows run between 1pm and 7pm. 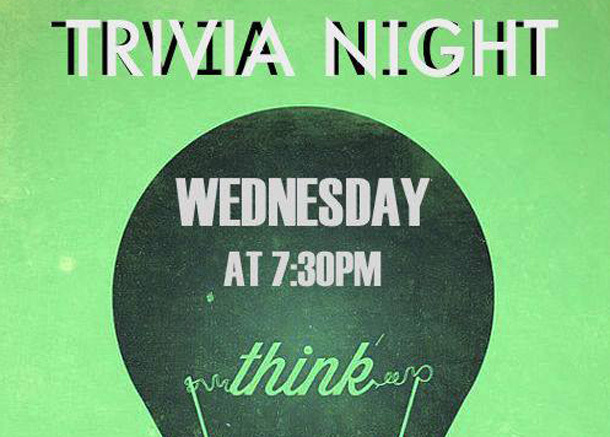 These bi-monthly trivia nights are held on the first and third Wednesday of every month. With changing categories that include historical places, pop culture, geography and more, there is sure to be a topic for everyone. Test your skills against Rangoon’s most nerdy residents as you and your team compete for trivia glory and a 30,000 kyats prize. Call to secure your seats. 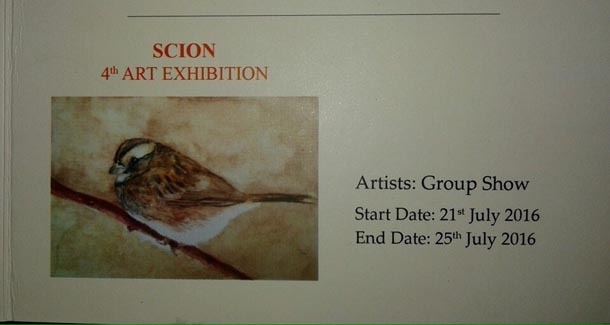 A group exhibition showcases more than 70 paintings by approximately 20 artists, with prices for work ranging between US$100 and $1,000. 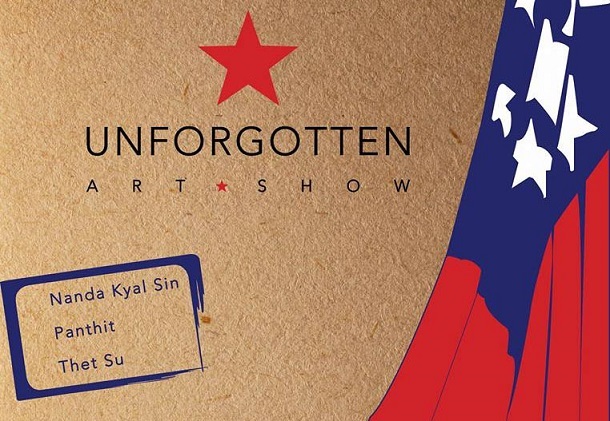 In commemoration of the 69th Martyrs’ Day anniversary, three artists stage an exhibition entitled ‘Unforgotten,’ featuring 27 paintings and an installation. All paintings are priced at $150. Artist Ohn Khine Zin will display 20 of his works at his third solo show at Cloud 31 Gallery. Prices range from $150 to $500. 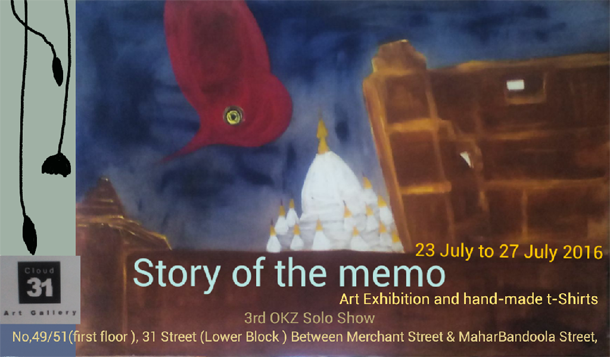 Where: Cloud 31 Art Gallery, No.49/51, First floor, 31st Street between Merchant Street and Mahabandoola Street. A group exhibition, featuring 40 artists and more than 200 paintings, will be held at Golden Valley Gallery. 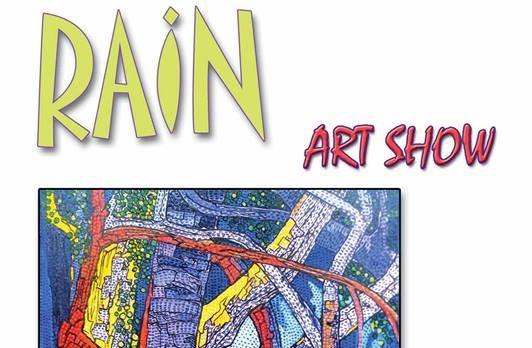 A group showcase of more than 18 artists will be held at Bogyoke Market, featuring over 50 paintings priced between $300 and $2,000. Twenty percent of the revenue raised will be donated to See Sar Yeik Home for Aged and Ailing Persons. 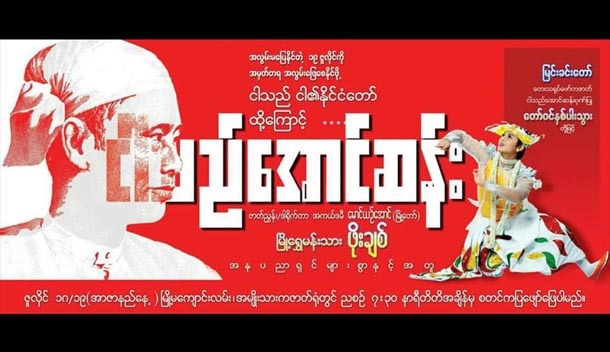 In recognition of Martyrs’ Day on July 19, a dramatic performance troop, led by Po Chit and other artists, will stage a drama titled ‘I am Aung San’ at the National Museum. Ticket prices range from 5,000 to 20,000 kyats with a 50 percent discount for students.